Bloggers4UKIP: Life after Nigel: Nuttall or Woolfe? Life after Nigel: Nuttall or Woolfe? When the dust settles on Nigel Farage's resignation the big question will be who will take his place as leader of the UK's third largest party. 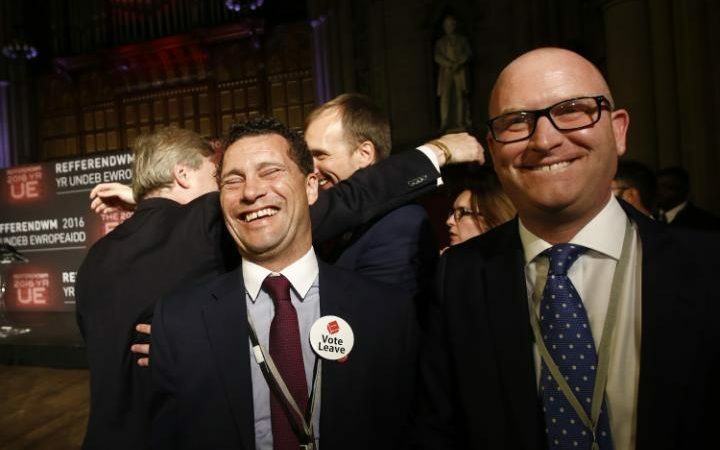 With Suzanne Evans currently serving a suspension she is unable to stand which leaves it as a two horse race between Paul Nuttall and Steven Woolfe. Paul Nuttall is the current deputy leader and leader of the UKIP delegation in the EU Parliament. The working class boy from Bootle has done well for himself, working his way up through the ranks to be Party Chairman, Deputy Leader and getting elected as MEP for the north west of England. Paul is from an old Labour background, supports an English Parliament and campaigns for stronger ties with the Commonwealth. Steven Woolfe is UKIP's economics spokesman and a criminal law barrister. Steven was born in the notorious Moss Side estate in Manchester and brought up not far away in Burnage. He was introduced to the party by Lord Pearson in 2010 and was quickly appointed economics spokesman by Nigel Farage. Steven is UKIP's highest ranking ethnic minority official and a campaigner for an ethical immigration policy based on merit. Whoever takes over will have big shoes to fill. Nigel Farage took a single issue protest party and turned it into the UK's third largest party with elected representatives at all levels of government, the largest group of UK MEPs and made an EU referendum a reality.